Tinley Park Areas Served | Mancari's Chrysler Dodge Jeep RAM, Inc.
Get ready to drive the future with a used or new Chrysler Dodge Jeep Ram from a renowned dealer near Tinley Park, IL with Mancari Chrysler Dodge Jeep and Ram! The Chrysler Dodge Jeep Ram dealer is conveniently located at 4630 95th St, Oak Lawn, IL 60453 which means drivers, car shoppers and Chrysler Dodge Jeep Ram lovers near Tinley Park and the surrounding areas in Illinois are just a short drive away from accessing a broad fleet of Chrysler Dodge Jeep Ram vehicles designed to satisfy a range of needs and lifestyles! On top of that, Mancari’s Chrysler Dodge Jeep Ram also offers customers tailored financing/leasing options, affordable services and cost-effective incentives to ensure that you drive home the Jeep that you want for the best price! Learn more about Mancari’s Chrysler Dodge Jeep Ram, its current inventory, all the special deals and savings that awaits or schedule a test-drive and more by calling (833) 372-9600 today! There’s always a brand new Chrysler Dodge Jeep Ram that’s right for your drivings needs and budget near Tinley Park with Mancari’s Chrysler Dodge Jeep Ram! Scouring the Windy City for a Chrysler Dodge Jeep Ram dealer near me who can help me drive home a brand new Chrysler Dodge Jeep Ram car, SUV, van or truck that’s perfect for your lifestyle? Take the short drive towards Mancari’s Chrysler Dodge Jeep Ram in Oak Lawn, IL and a car specialist will instantly guide you on all the best choices including their inhering benefits and drawbacks so you can make the optimum decision based on your current needs and budget! Aside from that, Mancari’s Chrysler Dodge Jeep Ram also boasts an expansive inventory that carries the best and latest Chrysler Dodge Jeep Ram cars for sale near Tinley Park. Whether its a sleek, sports-performance car like the 2019 Dodge Charger, a completely packaged SUV like the 2019 Jeep Grand Cherokee with a comfortable interior and an abundant safety features or even a reliable work truck like the 2019 Ram 1500 to cater all your business needs, Mancari’s Chrysler Dodge Jeep Ram can help you find what your looking for. Just tell us what you want from your ride and we’ll be happy to do the rest! So if you’re ready to drive the future with confidence aboard a brand new Chrysler Dodge Jeep Ram, call (833) 372-9600 now! Enjoy great savings for used cars and certified pre-owned vehicles at Mancari’s Chrysler Dodge Jeep Ram! If you’re looking for a Chrysler Dodge Jeep Ram dealer near me that gives you the opportunity to spend less and enjoy more, Mancari Chrysler Dodge Jeep Ram is ready to help with its exceptional offering of used Chrysler Dodge Jeep Ram cars for sale near Tinley Park! Low mileage, carefully hand-picked, and are put through a stringent multipoint inspection and refurbishment process that’s carried out by Trained Technicians, certified Pre-owned vehicles (CPOVs) can still give you reliable performance and guaranteed safety every time your behind the wheel, for a discount price! Discover the different used Chrysler Dodge Jeep Ram vehicles and CPOVs available and the different ways in which you can have them by calling Mancari’s Chrysler Dodge Jeep Ram today! 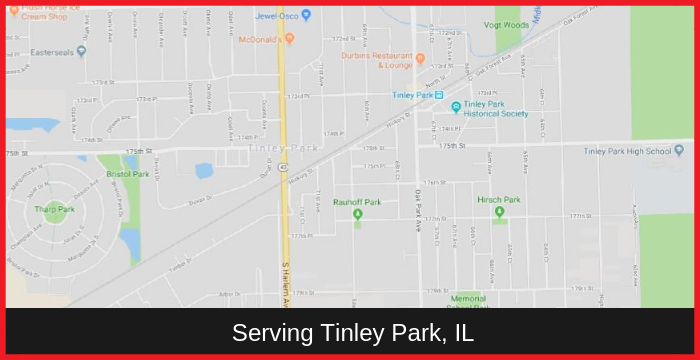 Drivers near Tinley Park are just a short drive away from experiencing world-class full-auto service at Mancari’s Chrysler Dodge Jeep Ram! Searching for a Chrysler Dodge Jeep Ram dealer near Tinley Park, IL that can help maintain your car’s optimal condition? Your quest ends at Mancari Chrysler Dodge Jeep Ram in Oak Lawn. From basic oil and filter changes to complex multi-point inspections and major repairs and restorations, Mancari’s Chrysler Dodge Jeep Ram boasts a state-of-the-art Service Center and Body Shop employed by trained and seasoned technicians that can deliver unmatched service to your vehicle based on its specific year, model and trim! And anytime you require authentic Chrysler Dodge Jeep Ram parts and accessories, Mancari’s has its own dedicated Parts center as well! With our professional parts team, stress-free shipping, and low-cost offers with special discounts, crucial repairs, enhancements, and restorations has never been faster, easier and more affordable!